To begin with, almost all well-paying jobs in the society require that a person possesses a college qualification to earn properly and engage in critical work conditions. Expressly, the law of demand and supply would kick in meaning that the demand would directly relate to the price. As the demand for college education rises so will the price of the cost of acquiring the same. 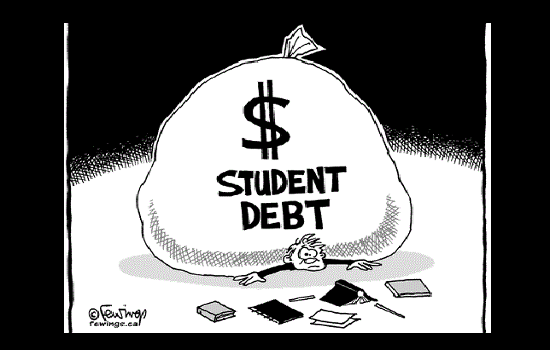 As such the Colleges would have an unlimited disposition and pool or reasons to increase their charges due to the circumstantial uses and needs or benefits that the college education would earn to the students (Bennett, William and Wilezol 8). In retrospect, it would be easier for the institutions of higher learning to increase their fees and costs or charges because the law of demand and supply would favor them regarding the price. In the conventional standards, quality services in the educational realm would imply that the colleges would have to expand their infrastructures and general learning environment and make them capable of producing market-ready students. Secondly, the general economic conditions have made it costly or expensive to acquire anything in the modern society. The cost of living has since increased including college education. It is imperative to note and mention that the college education is an entire concept that includes the cost of tuition, books, accommodation and curricular activities (Hout 380). The approximate cost of the other circumstantial tenets such as the books and meals, for instance, have intuitively increased as the global economic conditions have also dipped. Thus, the collective cost of college education is a function of many other circumstances and incidences that have since increased in the recent past. In principle, it is safe to mention that the building blocks and important elements have increased and so they would influence the cost of college education. Instinctively, colleges also employ qualified lecturers and professors who require a high salary and wages. In all aspects and fairness, the average salary of a fully trained professor has since increased as part of the global income increment schedules that have occurred. It has forced the colleges to increase their revenue pools and status so as to cover the increase in the income demands of the employees. The only logical point and area of seeking such income would be to increase the college education cost for the students and collect more money to allow the schools to offset the huge financial deficit that may face them. Similarly, colleges have expanded their pool of activities that not only range in the academic spectrum but also life skills and co-curricular activities or ventures. It is safe to mention that in the modern day and society, students are exposed to a higher degree of holistic training and education (Selingo 21). For instance, sport is a mandatory part of any college, and it is the students who cover the cost of such a training program. Relatedly, the willing and talented students would also have the opportunity to earn from sports. It goes without saying that colleges are the feeder channels for professional sports such as basketball, football, and baseballs. To increase the impetus and pool of expertise of the students, it would be fair to hire professional coaches and trainers. Hence, it is proper to mention that the students and the society as a whole would experience an increase in the cost of College because of the increased reach and pool of services.